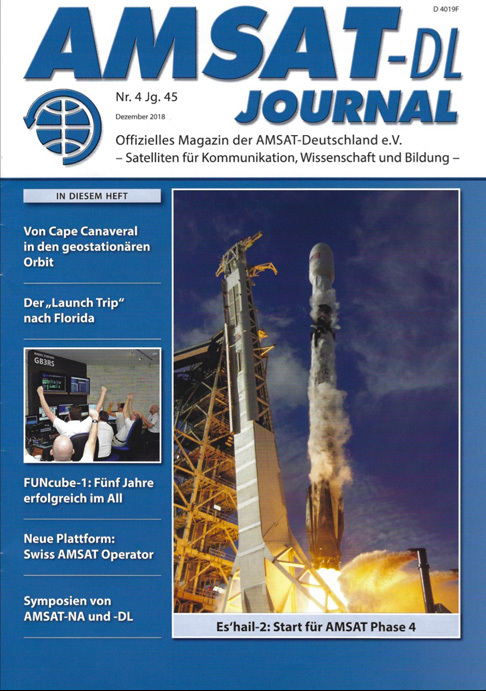 This guide is being issued as an initial document in advance of the launch and commissioning of the Es’hail-2 spacecraft. This will enable potential users to be informed about the plans and operating procedures that should be adopted. It is expected that the document will be updated regularly to take into account the operational experience. This chart shows the two transponders, their passbands and uplink and downlink polarisations. 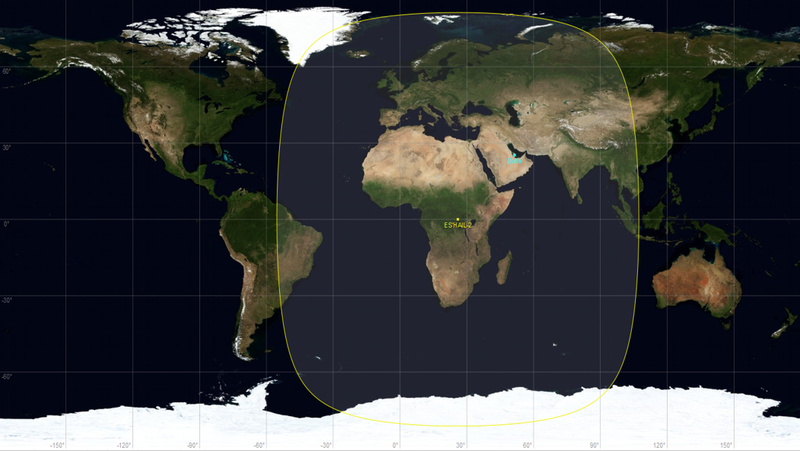 Note that, unlike the linear transponders on most other amateur satellites, these transponders are not inverting. 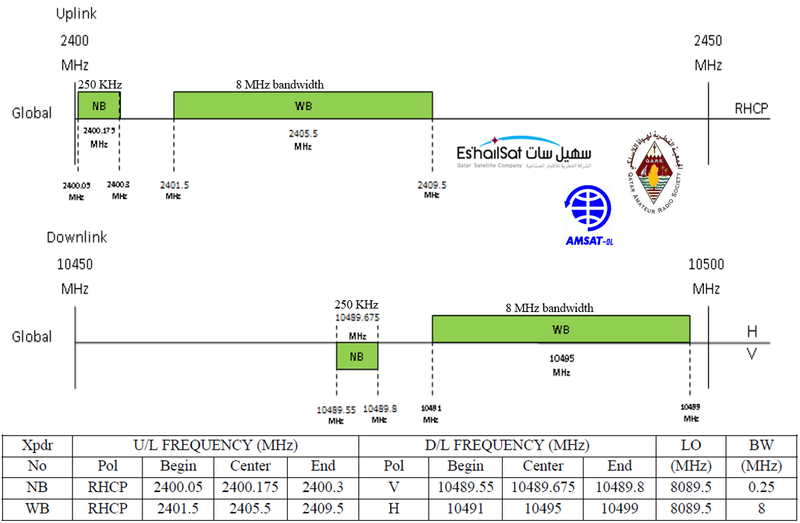 The two amateur band transponders on Es’hail-2 are a hosted payload being provided by the Qatar Satellite Company – Es’hailSat and the Qatar Amateur Radio Society (QARS) in co-operation with AMSAT-DL. It is vital that operators respect this facility and refrain from any activity that might cause offense, or which is outside the terms of their amateur radio licence. The narrowband transponder is intended for conventional analogue and narrowband digital signals. 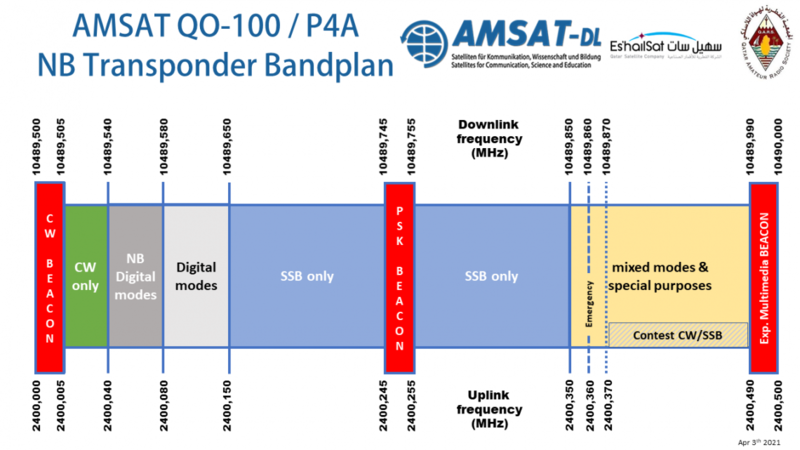 No transmissions should be made beyond the nominal edges of the transponder passbands. In particular, no operation should take place below the lower beacon nor above the upper beacon. No uplinks should result in downlink signals that are stronger than these beacons. In the event that such signals are detected, they will be marked by a “LEILA” siren. When they have been marked by “LEILA”, operators should immediately reduce their uplink power (ERP). No FM transmissions should be made to Es’hail-2 as these would use excessive power and bandwidth. Although there is no formal bandplan, the following details are provided for initial guidance. Amateur Radio is a self-regulating radio service, so please respect some rules when you are operating within the amateur satellite bands. Not stronger than the Beacon, keep your signal below Beacon level. No FM mode or any other modulation exceeding 2700 Hz bandwidth is allowed on the NB transponder. No digital FM modes like C4FM, DSTAR and others, same rule as above! No transmission below the lower CW beacon: the Amateur Satellites Service operate exclusively on a secondary basis in the band 2400-2450 MHz. You are responsibly for you own transmissions! No transmission above the upper PSK beacon. Uplink polarisation is RHCP (right-hand circular polarization). Downlink polarisation for the NB transponder is V (vertical linear polarization). Monitor the beacons and keep your own signal in the same range. Excessive signals might trigger LEILA warnings to remind you to reduce uplink power. The Upper Beacon is modulated in 400 bit/s BPSK (similar to the P3-satellites). The beacons are generated by the groundstation and will carry additional operational or maintenance information. 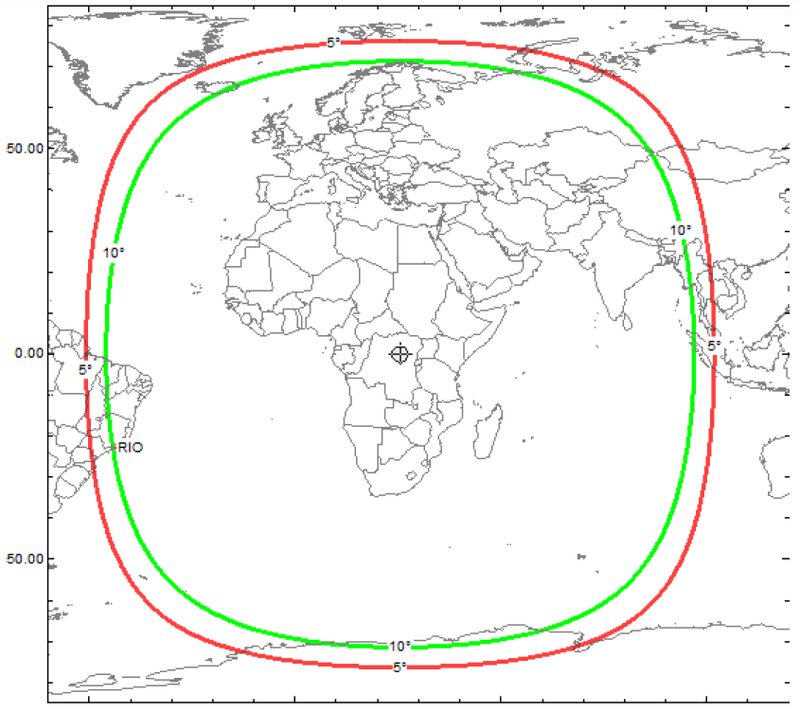 This map shows the coverage expected using the global beams on the spacecraft. For broadcast satellites it is usual to show the coverage down to 5 degrees elevation, but it is expected that well sited locations may provide access beyond that shown. The actual limits and power/dish sizes required will not be known until after commissioning.